What we have come to know as the 73 Grand Am was originally intended to be the 73 GTO. Several GM photos have surfaced with the GTO badges adorning the rubber nosed A-body. Unfortunately for GTO fans, this did not come to pass. When the 73 models debuted, the GTO name was affixed as an option package on the LeMans. The Grand Am rolled out as it's own model, with a Grand Prix interior, and a handling package bettered domestically by only the Corvette and the Firebird/Camaro. Deep bucket seats with lumbar supports, as well as the more refined Grand Prix dash and thick padded steering wheel made the Grand Am a driver's kind of car. The 15 inch radial tires and huge front and rear anti-sway bars added to the driving experience. The availability of the 455 engine with four barrel carburetor and dual exhaust made for a very competent package. 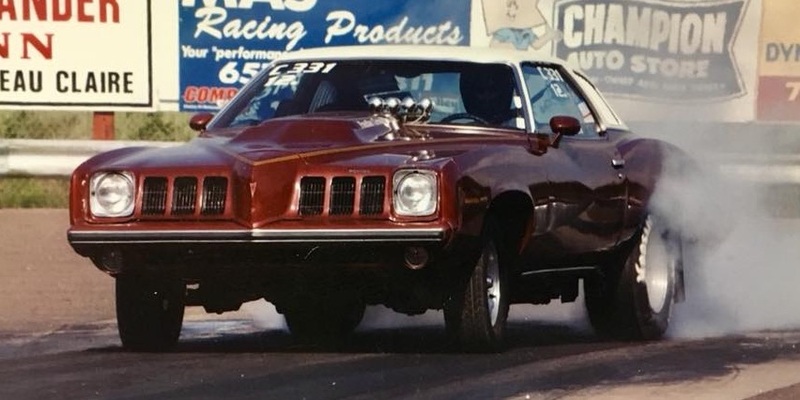 --- Despite rumors to the contrary, and the existence of press photographs depicting a 455 Super Dutyversion of the Grand Am, no such animal was released to the public. The single car produced with thispotent motor was scrapped by Pontiac in the mid to late 70s. Unfortunately the 455 HO never left the factoryin a Grand Am engine compartment, either. ---147 Grand Ams were built for '73 with a four speed manual transmission. The four speed was available onlywith the 400 motor. Those wanting 455 power were limited to the Turbo-Hydramatic 400 transmission. There werea number of 4 door 4-speeds produced, but the Grand Am Registry has yet to come across one. ---The vast majority of the first generation coupes were equipped with stylish vertical louvers over the siderear quarter windows. A few cars, however, were produced with Grand Prix style opera windows. ---Most sources state that all first generation Grand Ams were built at the Pontiac, Michigan plant. However, a smallnumber of sources claim that some of the cars may have been built in Ontario, Canada. I have researched over fifty 73-75Grand Ams, and all have been traced to the Pontiac, Michigan plant. ---A single Grand Am wagon was produced by Pontiac for 1973. Part of a feasability experiment, it is now in thehands of a Michigan collector. Curiously, this car is also one of very few with a factory ram-air induction set-up, whichwas proposed for the Grand Am, but scrapped due to inability to pass noise regulations. ---An "All American" version of the Grand Am was prepared for the show circuits of the mid seventies. A white car, with unique spoilersand tape stripe schemes, it was a real attention getter. This prototype was the basis of what became the 1977 1/2 Can Am. According to Pontiac sources, the car was scrapped around 1991. --- As you can see from the tables above, a 1980 two door Grand Am is the rarest of the breed. Many thanks to Tim Claremont of the Grand Am Registry for the above information. You may direct your first and second generation Grand Am specific questions to him.